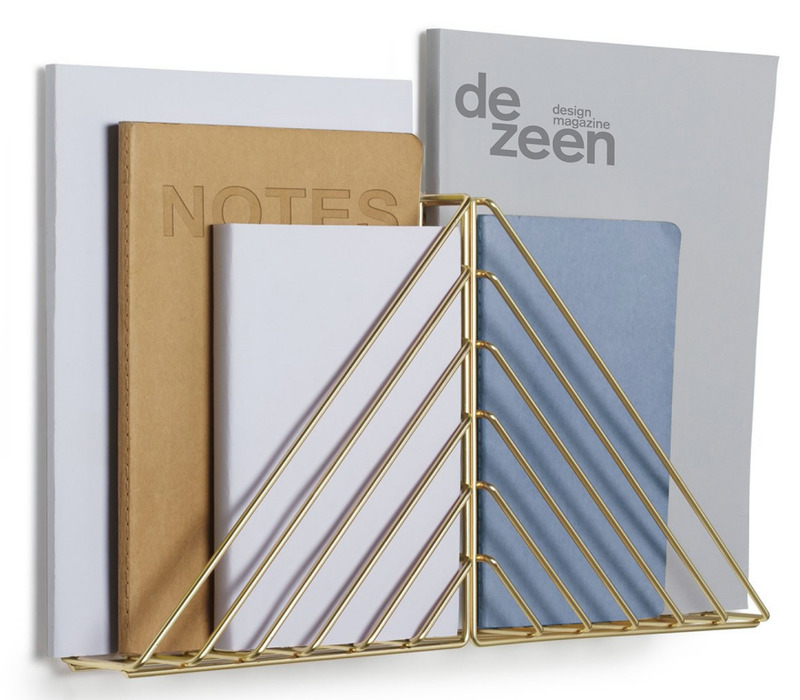 Umbra has always had numerous relatively inexpensive organizing-related products, and the company's newest releases include some items that definitely caught my eye. 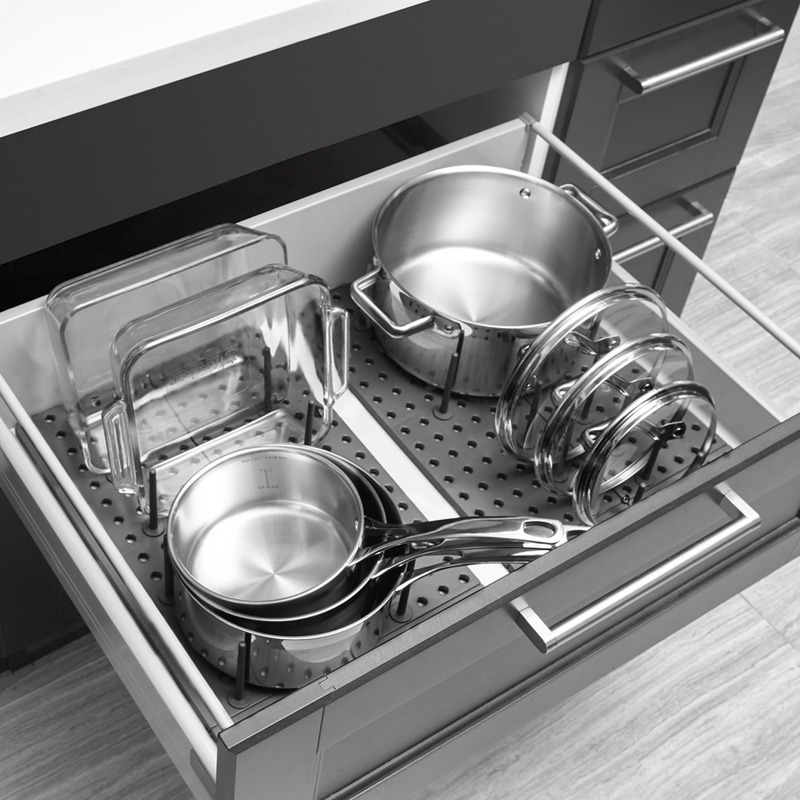 The Peggy drawer organizers expand from 17 inches to 21.5 inches, so they can fit a wide range of cabinets and closets. The two boards come with 16 pegs, which can be positioned wherever they are needed. 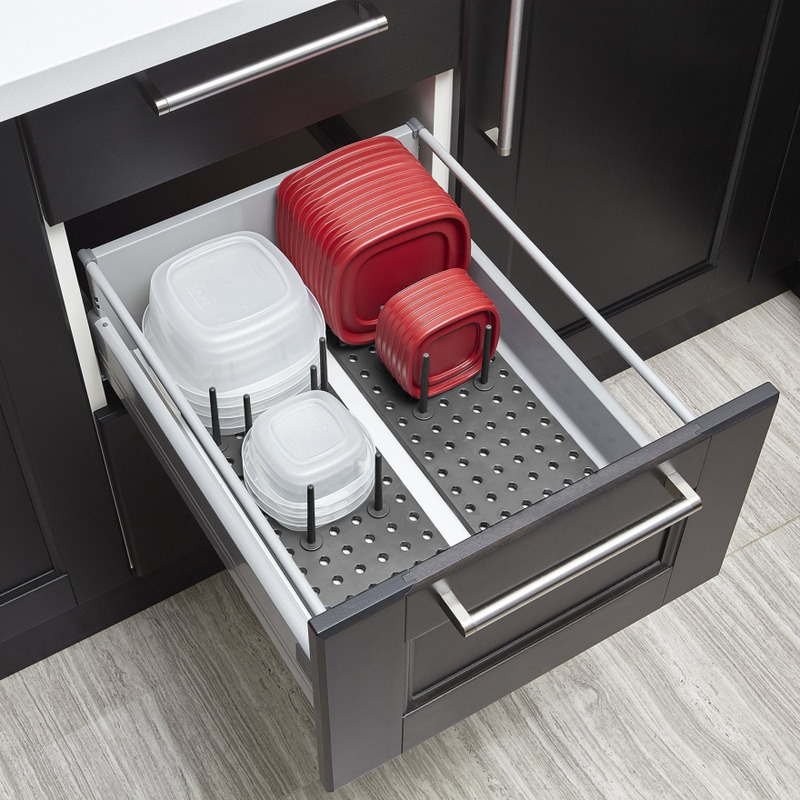 These organizers provide end users with an easy way to handle the ever-present "what to do with the lids" problem. And for those of us without table saws, they're easier to properly size than cut-to-size peg system drawer organizers. The trade-off: There's less opportunity to get a perfect fit, since there's only one width. 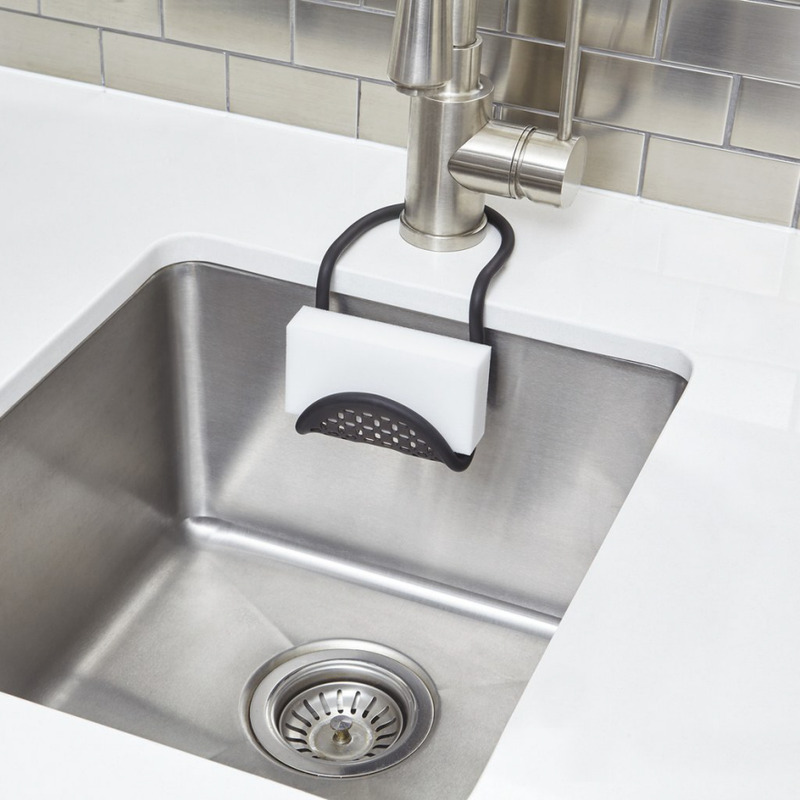 When I recently wrote about avoiding kitchen sink clutter I hadn't yet seen Umbra's Sling flexible sink caddy, made of plastic-coated wire that can form to the shape of the end user's sink. 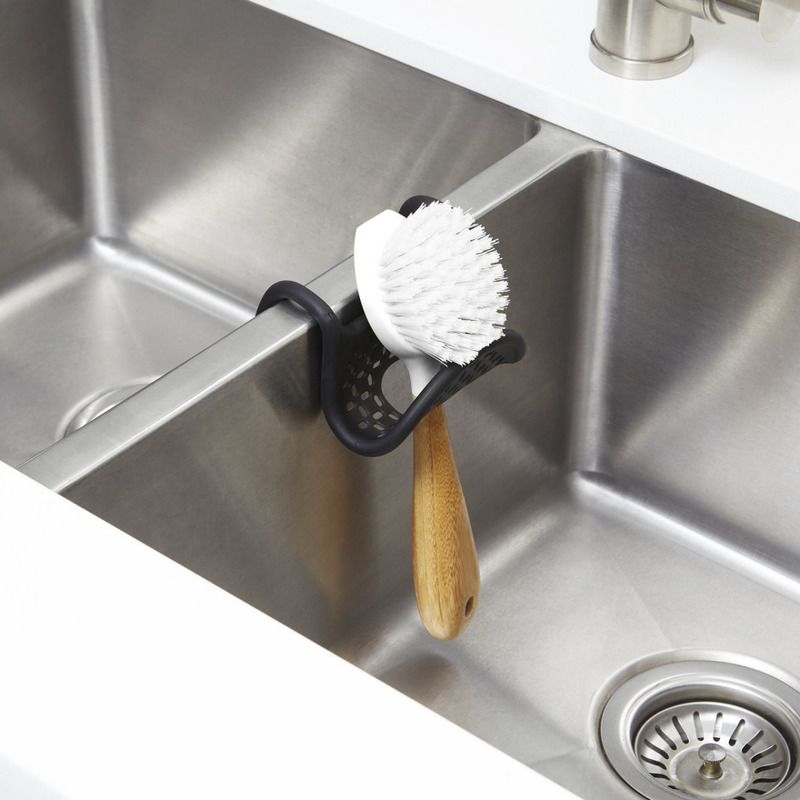 The Sling can hold a brush (vertically or horizontally) or a sponge, and it can hang from a faucet neck or a sink wall—so it's a very versatile product. One purchaser even chose to hang it from the end of a dish drying rack. 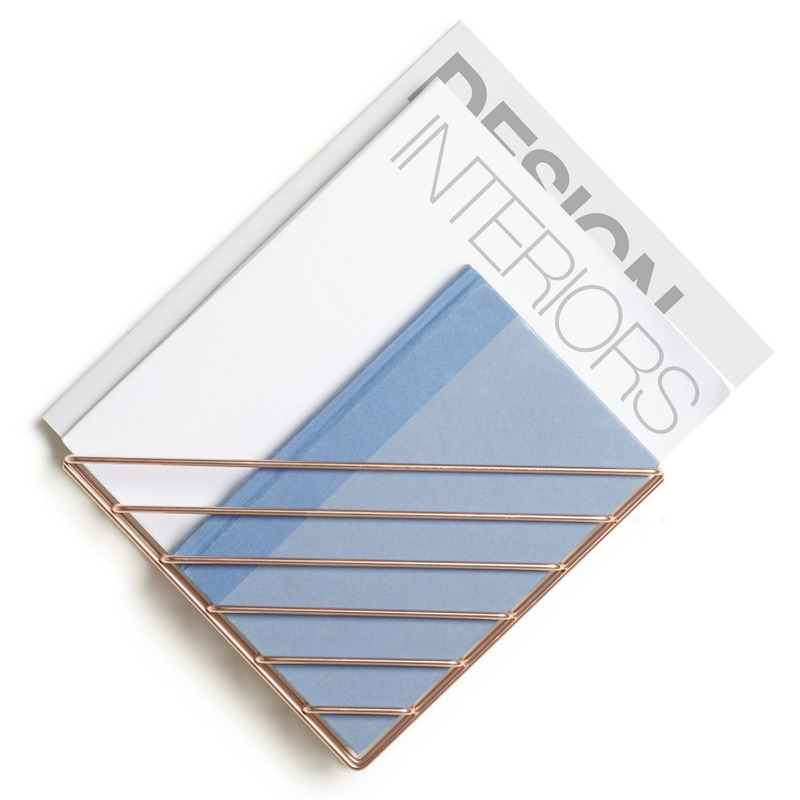 The Tug paper towel holder isn't a new product; only the copper finish is new. 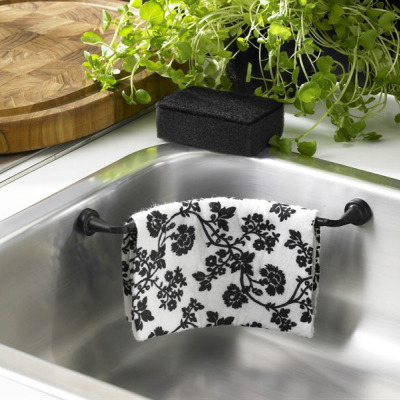 But it's an interesting item, with a curved rubber center to secure the roll and a weighted base; it's designed to let an end user remove paper towels one-handed. And most purchasers seem to agree that it does indeed do that. Purchasers also like that they don't need to unscrew an end piece to replace the roll; a new roll can just slip onto the holder. 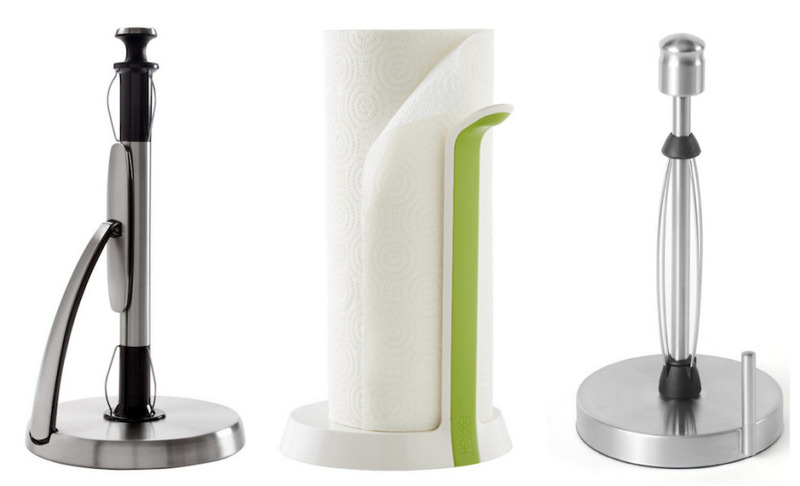 There are plenty of other paper towel holders designed for one-handed use, including those from OXO (with a spring-activated arm), Joseph Joseph (with a tearing blade) and Kamenstein (with a ratchet system to prevent rolls from unraveling). The Umbra one seems like the simplest design, with fewer parts to possibly wear out than some of the others. 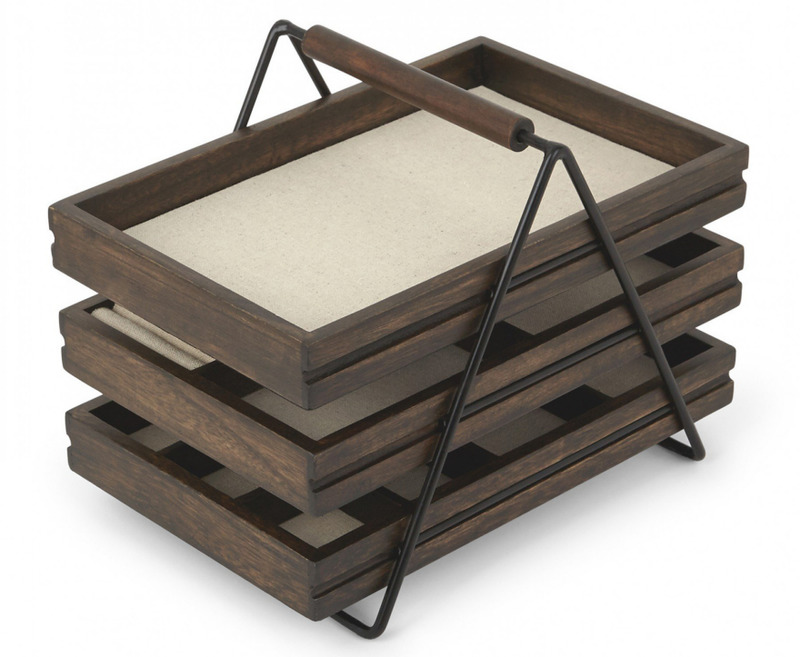 Also, I wish the end users could specify which tray designs they wanted, rather than only having the option of one of each. 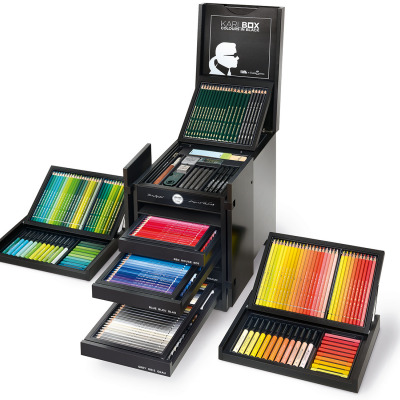 An end user who doesn't wear rings (to take just one example) would have half a drawer of wasted space. 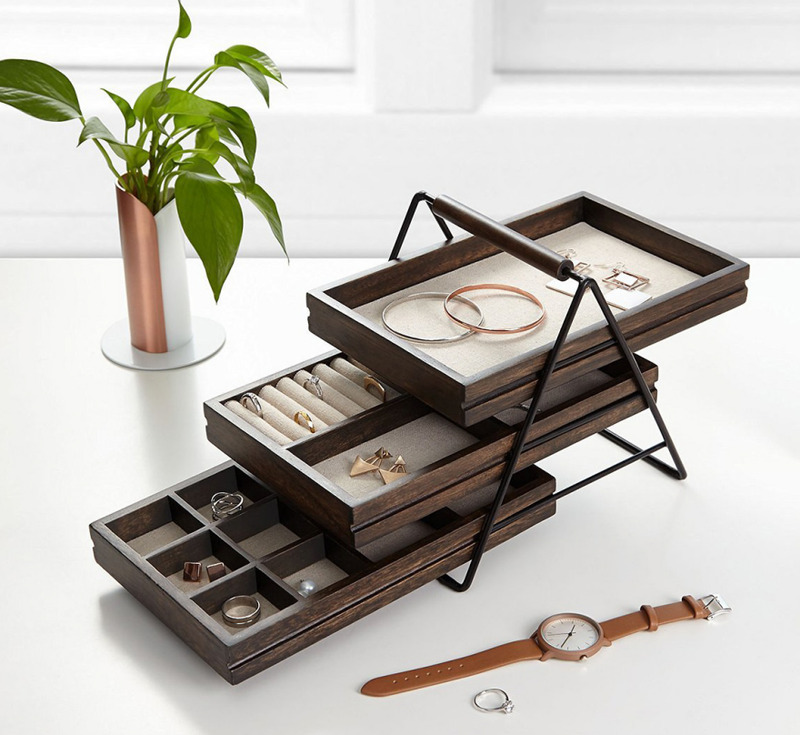 The Circa jewelry organizer is interesting in that the top portion can hold rings as well as bracelets and watches; that's a clever design. However, the earring storage space is quite limited (and may be a bit awkward to use). 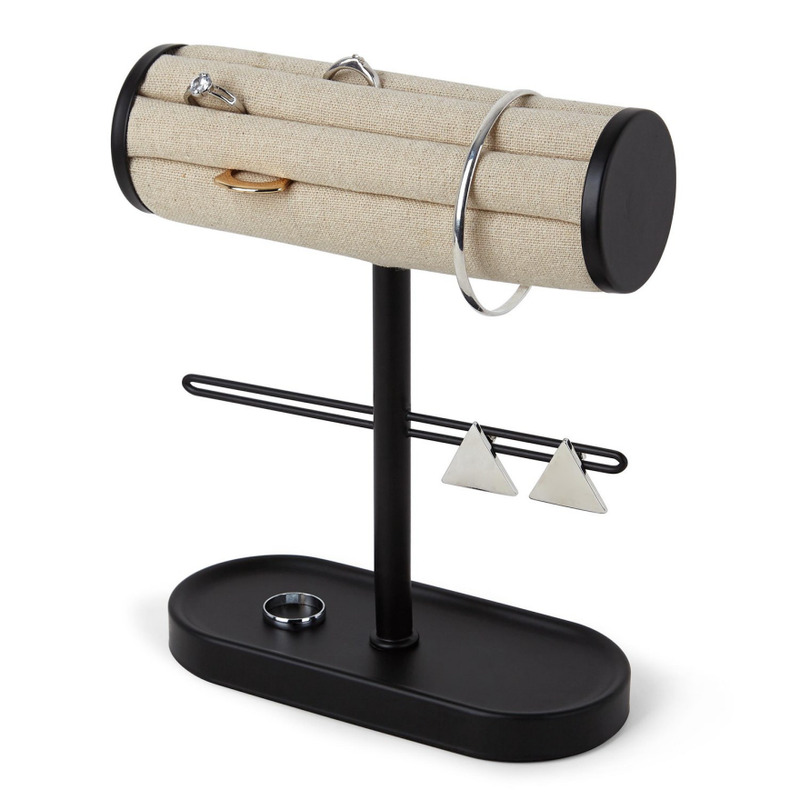 Most earring wearers I know regularly rotate through more pairs than this organizer would hold. 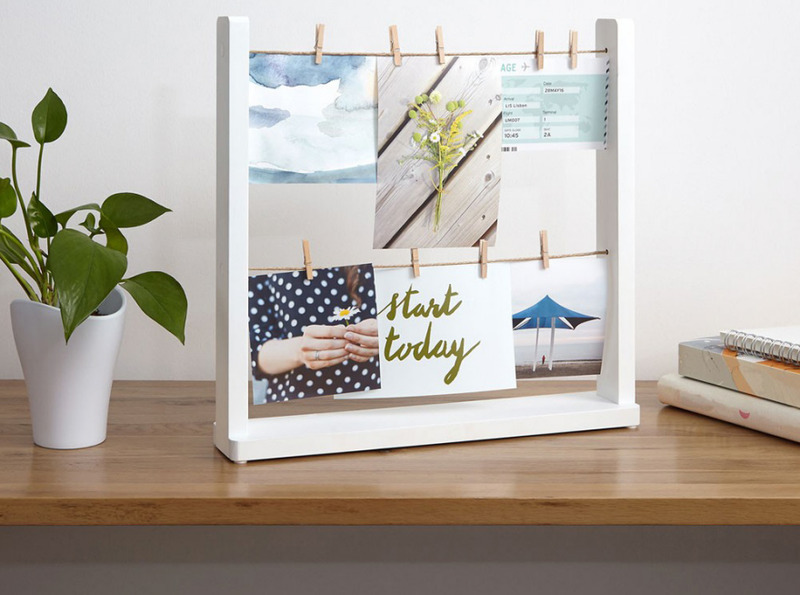 The Hangit desk frame has two rows of twine and comes with six clothespins. Although it's shown as a way to display photos, I look at it and see another way to keep small pieces of paper from getting lost on a desktop or other work surface. Including a few more clothespins might have been nice, but at least it's easy and inexpensive for the end user to get more from any number of sources selling clothespins. The Estique multi hook can be mounted over a door or directly on the wall; hardware is included. The wood balls are nice for ensuring the clothes don't wind up with snags. 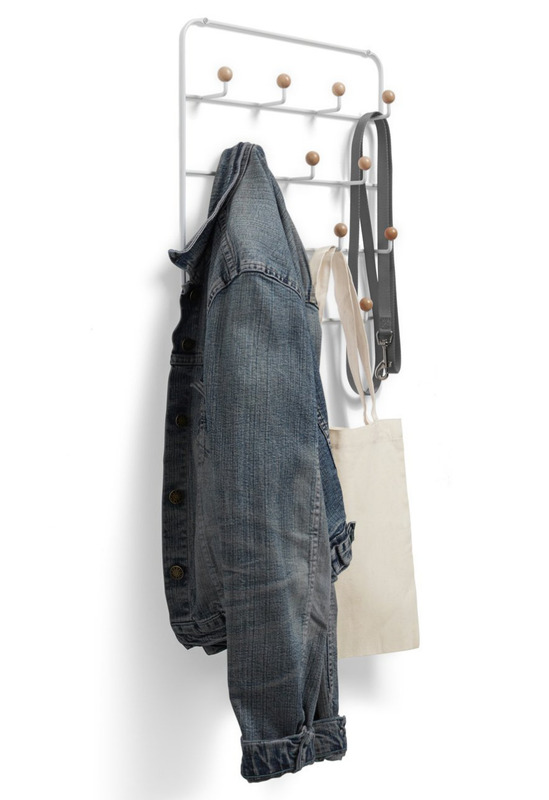 The one drawback with this type of design: Large items like coats, hung on anything except the bottom hooks, will often hide other items. And even if the other item is something long like a scarf, it will be somewhat difficult to reach if a coat is hanging above it. 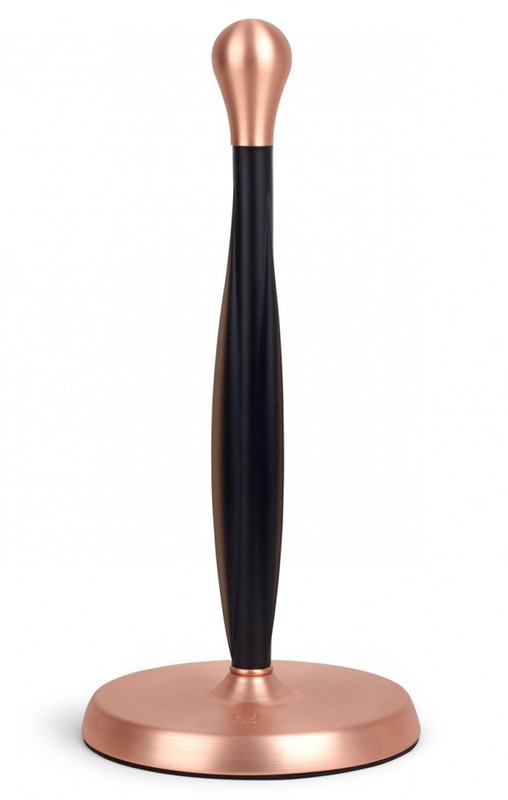 The Holdit umbrella stand, designed by Wesley Chau, has a weighted resin base. 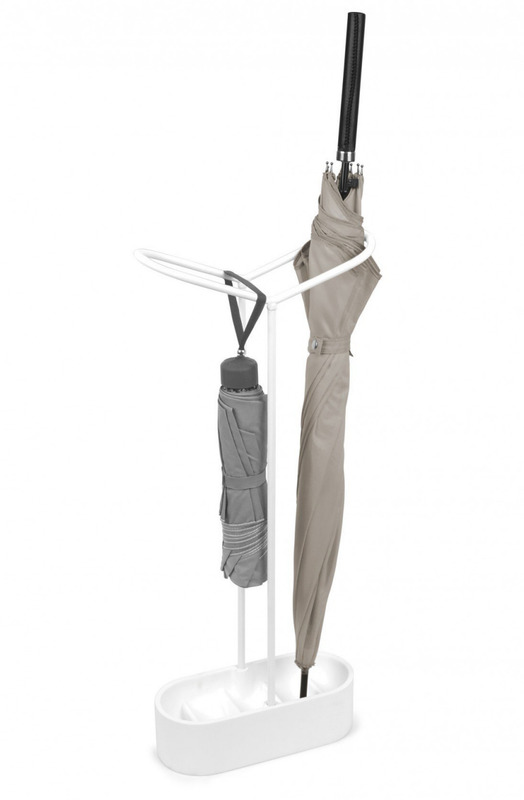 It accommodates both standard umbrellas and compact ones, which can hang over the frame using their wrist straps. (That's a somewhat different approach than most designs that work with compact umbrellas.) My favorite umbrella has a somewhat short strap, but after measuring I think it would indeed fit over the frame. 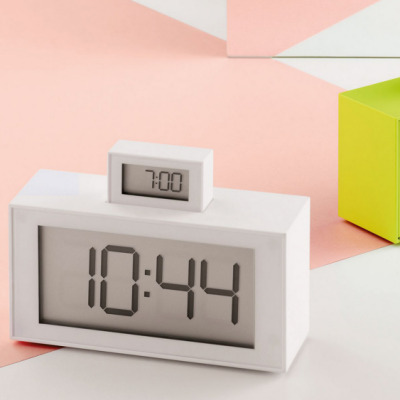 The Strum shelf can be mounted in three different orientations; it looks like it would be good for holding things such as magazines and file folders. 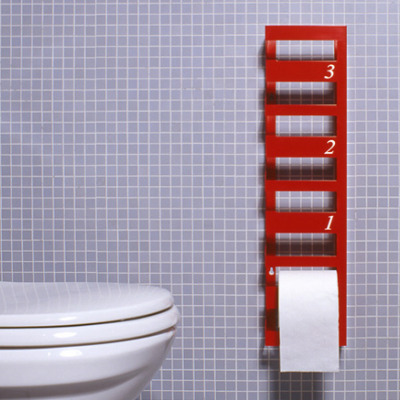 Each shelf can hold up to 10 pounds. It's one more nice alternative for making good use of wall space.